Extend your hunt deeper into the night by replacing your Pulsar B-Pack with the new BPS 3AA battery holder. Simply insert 3 AA batteries into the BPS Battery Holder and replace with your B-pack to use as backup power when hunting or scouting. 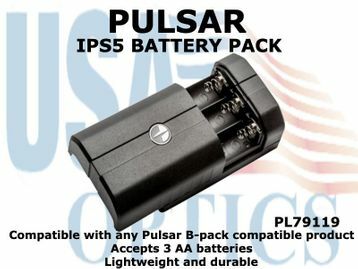 The battery holder is compatible with the following Pulsar models - Trail, Helion, Accolade, Digisight Ultra and Forwards, as well as any B-pack compatible unit. The battery holder is made from the same plastic material as your regular lightweight and durable Pulsar B-pack.